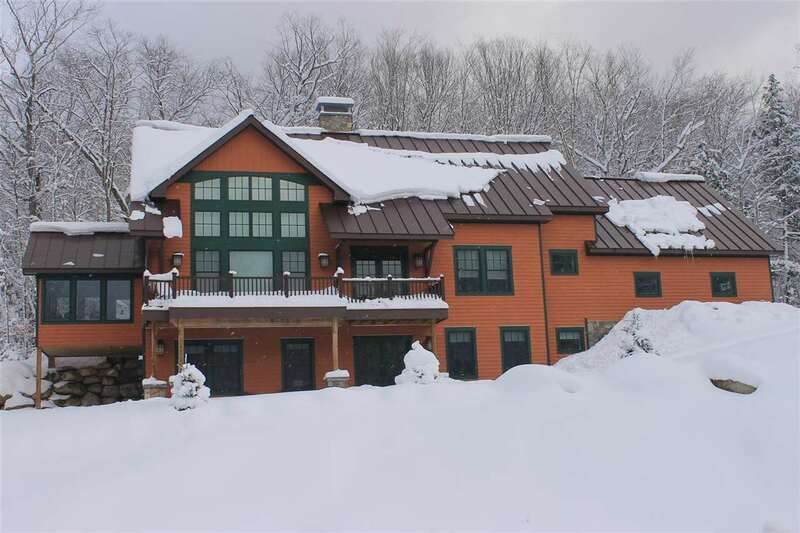 Nestled against the White Mountain Nat&apos;l Forest, this perfectly situated Adirondack style home checks every box. Pull in to your attached 2 car garage and you can enter the home through a large mudroom area complete with storage, ski tuning room (or dog grooming station!). Guests may use the formal entrance which leads you to an incredible open and dramatic living room with massive windows to enjoy the perfect ski mountain view. Gorgeous variable wide plank yellow pine wood flooring coordinated with beautiful tile is carried throughout the home. Adjacent to the living room is the dining area and kitchen with stunning granite counter-tops, tiled back-splash, under-mount lighting, propane cook-top and walk-in pantry with plenty of dry storage. The upstairs master level is private with his & her walk-in closets, laundry room and an office/loft. Downstairs you&apos;ll find a huge great room with immediate outdoor/ski trail access & 2 large bedrooms with ski mountain views. Built in 2015, this home incorporates all of the latest technology. Radiant heat in the floor on every level efficiently warms the home while spray foam and cellulose insulation retains all of the heat. Whole house A/C and humidity is managed by an intelligent air exchange system. Owners spared no expense...standby generator & surge protection, state of the art drainage system, electric window shades, real stone chimney&apos;s... the list goes on! Most furnishings are included... just move right in and enjoy!